Welcome to the Bismarck Santa Fun Run/Walk 5K. Thank you to all participants, volunteers and sponsors for making the 2018 Santa Run a huge success!!! Thanks to your participation and generosity, the Santa Run raised enough money to fund the RADD running program for 2019, make a contribution to Hope Manor, and provide funding for Drug Court scholarships and supplies! Due to the tremendous positive feedback received, we are planning the sixth annual Santa Run tentatively scheduled for Saturday, December 14, 2019. Look for more details on this website and on the Bismarck Santa Run Facebook page. The Santa Run is organized to raise awareness of addiction issues in our community and to raise funds for entities that work with individuals in recovery. 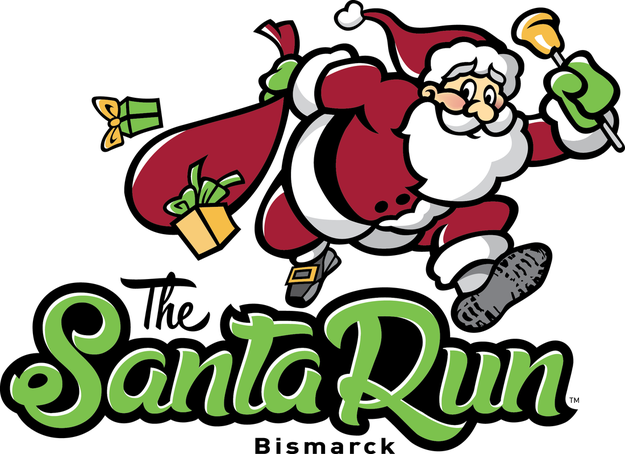 Runners Against Destructive Decisions(RADD) is supported by the Santa Run. RADD is a running program for individuals in recovery and their families. RADD participants set a goal of completing a 5K run or walk and train with RADD to accomplish that goal. RADD purchases running shoes and pays race entry fees for participants who could not otherwise afford those expenses. Everyone is invited to run or walk with RADD! For more information, check out the RADD Info page on this website. A very special thank you goes out to our sponsors for helping make this possible. Head over to our Sponsors page to see everyone who is helping to make a difference! The Bismarck Santa Run benefits RADD by purchasing running shoes and race entry fees to support those in our community struggling from addiction.